This excerpt from the job advertisement highlights a trend that is becoming a growing concern for professional librarians, and for the NLLA: the systematic deprofessionalization of librarianship within the NLPL at the administrative level. Only a librarian, having graduated from an ALA accredited graduate program in Library Science/ Studies, can govern and administer our provincial library system with a full understanding of the unique needs and concerns of libraries, and act effectively on behalf of their libraries, users, and employees, in this role; yet, nowhere in this ad, is an ALA graduate degree in Library Science required. In fact, a background in Library Science is listed only after other qualifications which are not designed to equip professionals to work and function as Librarians. Despite these competences that can only be acquired through the completion of a Master’s degree in Library Science, the NLPL’s actions suggest that the organization does not value professional librarians. As the voice of Newfoundland and Labrador libraries and library workers, it concerns the NLLA deeply that the NLPL appears to be undergoing this process of systematic deprofessionalization in its upper ranks. In addition to this most recent position, it is our understanding that the Regional Manager for the Central Division was hired last year based on a similar advertised set of qualifications; and that, as a result, neither the current Executive Director nor the Regional Manager for the Central Division hold a Master’s degree in Library Science from and ALA accredited program. Previously, both these positions were occupied by individuals with professional librarian qualifications. It seems that many librarian positions at the NLPL are considered to be management positions: librarians are non-unionized, and there are no librarians in public services positions. The NLLA also questions whether any professional librarians or paraprofessionals sit on the Provincial Information and Library Resources Board, as outlined in the 2014-17 NLPL Strategic Plan. If management positions at even the highest level are now going to non-librarians, how long will it be until the NLPL has no professional librarian expertise left? On April 4, 2016, the NLLA sent a letter outlining its concerns to Mr. Brian Evans, NLPL’s Director of Information Management & Special Projects for the Department of Education and Early Childhood Development, and looks forward to a response which, we hope will include a clarification as to the number of qualified Librarians (holders of graduate degrees in Library Science from ALA accredited programs) currently serving on the Provincial Information and Library Resources Board. It is the hope of the NLLA that the Government of Newfoundland and Labrador reconsider the qualifications of successful candidates for management and for other positions which should only be occupied by professional librarians. 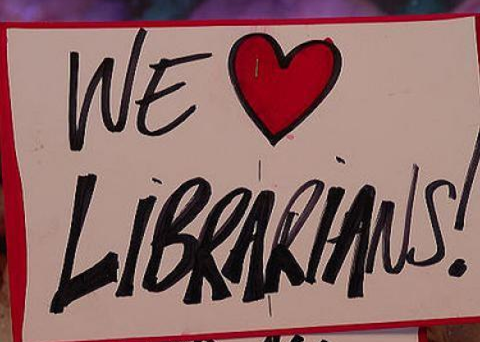 You would not have a hospital without doctors; how can you justify a library without librarians?